In case anyone missed the posts about it, Piriform quickly released a new build this afternoon as a result of the confusion that the Active System Monitoring caused in the last update. 2. Disable System Monitoring by unticking the box next to "Enable System Monitoring"
Hopefully this actually fixes it, I'll update either later today or tomorrow - well after I see peoples comments on it. Thanks for the heads up Hazel. I understand the half gig system monitor check box - but - Just what is Active Monitoring ? Monitoring what ? Although 4844 is the "latest version", when I go to download, it goes to 4842. I'm assuming there is a problem with 4844, but switching off monitoring as suggested above works fine. I'll wait a week or so to see if things shake out like they should. 4.17 did not have this garbage, and I didn't have to jump through a bunch of flaming hoops to get it out of the task bar. And the registry which is a PITA and can cause problems if not cleaned up. BTW, CCleaner registry cleaner won't remove it's leavings. In fact, I don't even want it! Piriform claims it was a 'feature' to teh free version that was asked for. I DON'T BELIEVE THAT CLAP TRAP EITHER! Nobody in their right mind wants a piece of software running in the background, taking up resources, and causing headaches for users. If Piriform wants to stop making the 'free' version. so be it! There are other things in the GNU community that will do the job. Why are they two different things - active and system? shouldn't they technically be the same thing working together? >I understand that system monitoring won't work unless Active monitoring is ticked. >but active monitoring will work independently - but what will it monitor without system monitoring being checked? 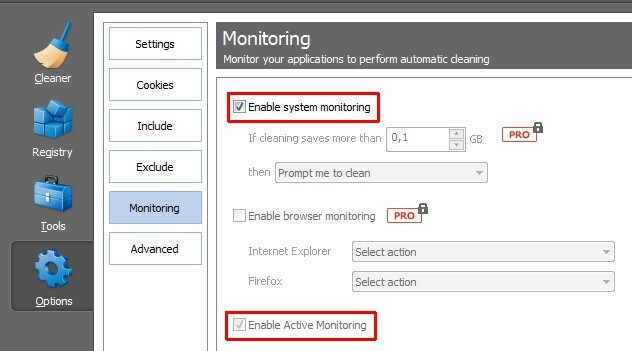 >it says active monitoring will keep CCleaner up to date (confirmation box) - so is this an auto update feature? > does this mean that you won't have to open CCleaner ever again? edit: haha this is so weird. Tall Bear, when I start at the "Announcements" topic, or when I update through the installed ccleaner program, both give a download of version 4.18.4844. Just tried it and verified the hashes. mikiep, I think the answer to your question is this. CCleaner monitors the amount of cra stuff you have to clean, based on the boxes you've ticked. When there is 1 / 2 gb it automatically cleans it. I read about the bottom check box for Active Monitoring - for the paid version you get options to run clear cache/cookies/etc at browser closing. It pops a message box to manually do it or a message bubble if you set to automatically do it. But what the heck does it do for the free version. Actively monitor our surfing for advertising ? CCleaner told me a new version was available.. then it automatically went to FileHippo for the download/install which gave me the same version I had installed a few days ago. Then I went somewhere else that I cant mention for a link to download it directly from piriform. I don't like to download from anywhere but the source program maker - its odd, I do remote desktop to other countries and they all have the option to download direct from piriform, but usa doesn't seem to have that option anymore. Then I went somewhere else that I cant mention for a link to download it directly from piriform. You run the risk of getting a fake version or one with a malware wrapper containing it when downloading it "elsewhere". The link in post #1 of this topic is legit, and I'll only ever download it from Piriform. Same issue for me. Does anyone know if Piniform is aware? v4.18.4844 seems like a sales and marketing approach for the Professional version of CCleaner. Just to be notified that you can save .5 GB doesn't appeal to me. Everything is still grayed out after you enable system monitoring. No values or settings can be changed. This did prompt me to look at the Professional version and it's features. 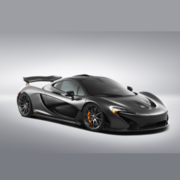 Many users would benefit from the notifications, automatic cleaning and updating. There's a free trial of the Professional version for those who are interested. CCleaner will more and more to bloatware. It's nowhere near bloatware, there's other cleaning tools 4x bigger once installed. Plus if you don't like the .exe filesize you could always compress it with UPX. I´m back to last version. Checking for updates using my old version (4.00.4064) goes to version 4.18.4842 like yours did. When Installed, version 4.18.4842 goes to a download for version 4.18.4844. I didn't know it, apparently those other versions installed yesterday had altered the registry so the updates went to the right places. And the monitor thing started by default. Now, checking for updates using my old version (4.00.4064) goes to version 4.18.4844 and the monitor starts by default. This is after a deleting all the changes made by those experimental CCleaner installations. version 4.18.4844 and the monitor starts by default. Excuse my lack of ability, but where do I find "Enable Active Monitoring" and the box next to it. Are there any reasons why someone might not want to download the new version 4.18.4844? Excuse my lack of ability, but where do I find "Enable Active Monitoring" and the box next to it. Please see the attached picture. If you do not see both options, please update to the new version 4.18.4844. I have downladed the new version and now see both options. Should I disable both now? Are there advantages in having the new Monitoring feature and for what reaons might some individuals want to disable it? Thanks for your previous answers!